Working out is the best gift that you can give to your body. If you’ve been eating healthy to shed those extra pounds, or following a particular diet, then you know how tough it could get to stick to your routine. Well, that’s where fitness apps come into the scene, and they have been doing considerably well in providing accurate assistance to help users in staying fit. Smartphone apps are ideal fitness partners as they help through workout guides, calorie count, statistics, and tracking workouts (run, walks, cycle rides, and more). From exercise guides to fitness games, check out 5 of our favourite fitness apps for iOS and Android devices. We have only considered the apps that do not require a fitness tracker device or wearable to fetch information. The apps below, are standalone mobile apps that rely on inbuilt smartphones sensors such pedometer, gyroscope, motion sensor, and more to get the stats. The best part is that all these apps are free to use with select payable in-app services that are at your discretion to buy or not. For a newbie, the free features on these apps are enough for a jumpy start. 7-minute workout routines are on the rise these days. The Johnson & Johnson Official 7 Minute Workout App feature the best of these workouts along with advanced methods and short videos. The app also has a Smart Workout feature that doubles up as a fitness assistant and plans custom workouts for you based on your body ability and exercise areas. The interface of the app is easy to use. 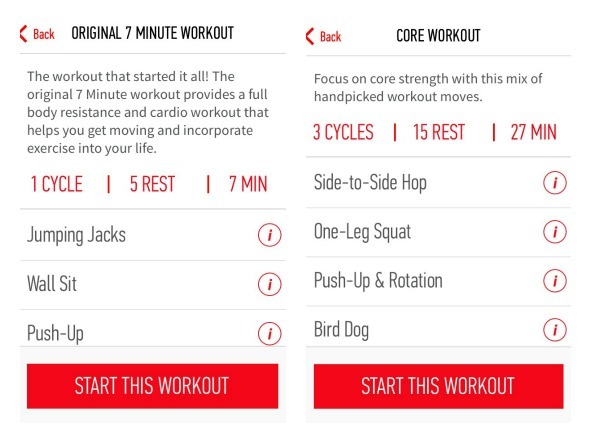 Another important fact about the Johnson & Johnson Official 7 Minute Workout app is that it is made by Chris Jordan who is the creator of the original 7-minute workout concept. Go ahead, try it out. Maybe, seven minutes every day can help transform your bod! 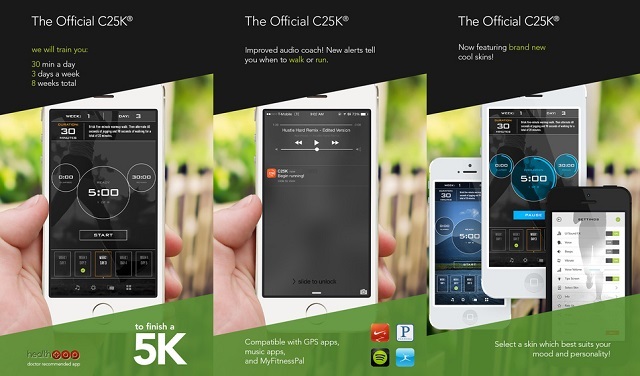 C25K Couch to 5K is a fitness app that targets “couch potatoes.” If you are one of those who would rather stay on your couch than go out and take a walk or even better run, then this app will bring the motivation that you need. The app comes with zero to 5k, zero to 10k run plans, which is a well-detailed plan to train you for a 5k/10k run, right from scratch. 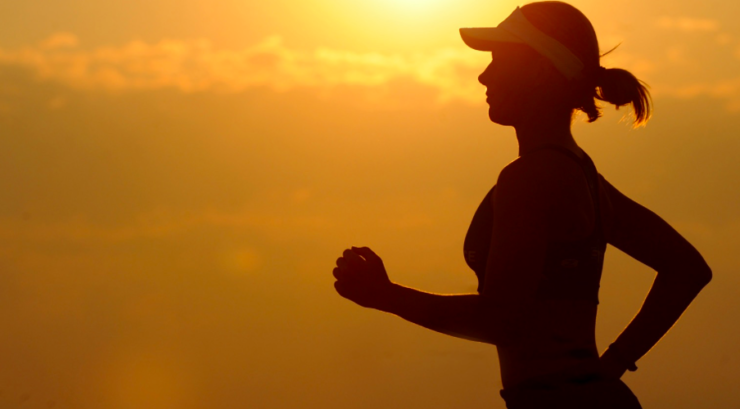 It only prepares you to run, which is the best exercise for your body to get out of the snooze mode. To motivate users, the app has MyFitnessPal integration, which enables users to create a custom playlist and it also provides various fitness tracking features. The free version of the app is a trial version, and if you end up liking the app, then you can promote yourself to the paid version by shelling out $1.60. 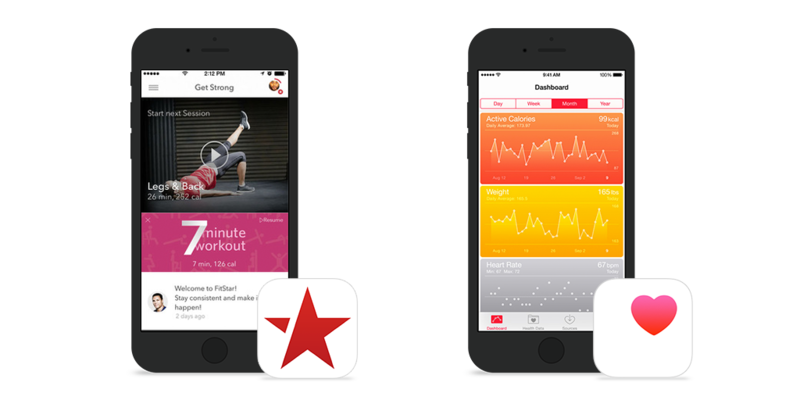 FitStar is made with an idea to provide personal assistance to users, like a personal trainer. It acts your digital fitness coach and plans out routines and exercises for you as per your capability. It carefully plans out every routine without adding complexities. The best part being that user gets to decide the exercise duration and rate the difficulty level. With time, the app adjusts to your choices and starts suggesting perfect plans. It is useful for those who left going to the gym due to time issues; this app can still get you to work hard at home acting as your digital personal trainer. Endomendo is a popular fitness app. It comes with a plethora of features that allow users to track their fitness performance, plan exercises, set routines, and much more. Certain paid features could be accessed by buying a $2.50/month subscription. The users highly rate the app, and they swear by its paid features like personal training plan and heart rate analysis, along with other cool tools. 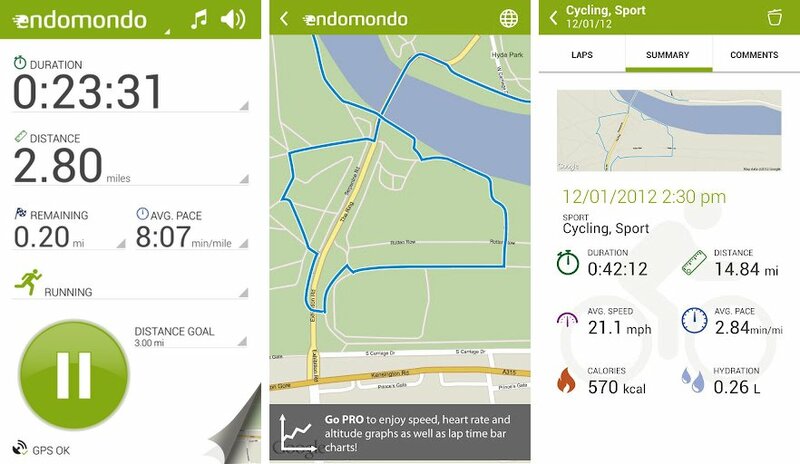 The best part is that Endomondo backs up your fitness data on its website too, which means that you can access it anywhere without your phone in hand. As the name suggests, Lose It! is all about helping you in losing weight and achieving exercising goals. It lets you set your goals and then assists you in reaching them. It also has a “calorie counter” which is a nifty feature to create recipes and exercise plan as per your body needs. Also, it sets daily calories intake limit for you and motivates you not to exceed it. The app also has support groups and challenges that suggest for more exercises and veggies intake. In case, you plan to buy a fitness tracker (Fitbit, MapMyFitness, Nike+, Strava, or others) then you can pair it with this app and have your existing fitness data right on your wrist. What’s your take on these apps? Have you used any of these? Share your thoughts in the comment section below.